Find the best youth flag football leagues for kids, including pickup games and tournaments, in the state of Mississippi. Below, parents will find the most up-to-date for 2019 list of fall, winter, spring and summer, indoor and outdoor local flag football leagues for boys and girls, as well as pickup games and organizations that offer tournaments, in order from the highest to least populated cities and towns in MS.
GotFlagFootball.com brings together the local youth flag football Mississippi community of city recreational leagues, organized independent leagues and tournaments in on alphabetically ordered list, so that it’s convenient to find a game for your child, in an area near you. This league is offered for both boys and girls, and the values of the league center around player safety. It is available for both boys and girls and played outdoors. For more info email the program coordinator. This Parks and Rec kids league hosts youth flag football leagues running in the Fall, with two age divisions: 6-8 year olds and 9-11 year olds. It is available for both boys and girls. Games take place on Tuesday and Thursday, at either 6pm or 7pm. The games are played outside. 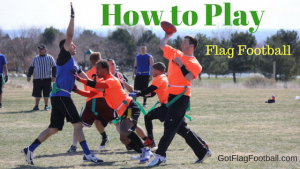 This is a younger flag football league, available for children aged 5-8. There are just two age divisions, and the league runs in the Fall. At the end of the year, a tournament is held to crown a winner. Games are played outside, and children are provided with an NFL jersey upon registration.